Brands big and small face a similar challenge: trying to engage their workforce in a more meaningful way. The average employee today isn’t just interested in punching the timeclock in order to collect a paycheck; rather, most people want to understand their company more fully in order to better advocate on its behalf. In return, companies are better positioned for success, because engaged employees are happier, more committed to their work and ultimately more productive, according to a report by Gallup. At Bambu by Sprout Social, we recently took a deeper dive into what employees are seeking from their organizations and how well companies are doing in meeting those objectives. Here are our findings. Your average employee seeks a greater investment in your business. In fact,nearly 3 in 4 employees want their company to keep them updated about what’s happening with the brand. As a result of being more fully informed, those employees say they are not only more successful at their job (42%) but are also more committed to the company as a whole (36%) and more apt to tell their friends about all that’s going on at it (17.8%). In other words, an engaged workforce is a powerful one. The data shows that employees are hungry for more information—whether that’s new product developments or spotlights on their fellow coworkers. Make it easy for your employees to find and share company news: Ensure you have a central hub of content that all employees can easily access whenever they want. Such a channel will make essential information easy to digest while ensuring your employees are always up to date on the latest news. Unfortunately, many companies struggle to bridge the gap between internal communications and broader, more external outreach. In fact, 77.3% of people say they don’t feel encouraged to share company news on social media. Even worse, 32.6% of people don’t use social media in a business setting at all because they don’t want to mix their professional and personal lives‚ even though such efforts are important for personal branding. To address this, companies need to get better at educating their employees on the benefits of a well-rounded and diversified social presence. Employers are also missing out on an important opportunity to increase their brand’s reach in order to attract more qualified candidates. By providing employees with basic social media training and guidelines, your company will be better positioned to build relationships in a more authentic way. Always think “WIFM (what’s in it for me? )” from your employees’ perspective. Educate your employees on the benefits of advocacy and how social is vital to building a personal brand. Test the waters by integrating social into company events and internal communications. This puts critical information right in front of your employees in a way that makes sharing frictionless and perhaps even fun. Also, don’t underestimate the power of some old-school tactics to get the word out and sustain the momentum around your advocacy program—from posters around the office to lunch and learns on social media best practices. 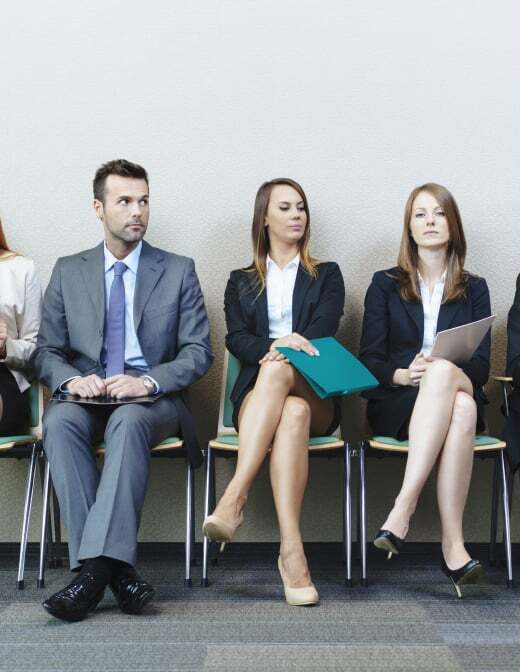 Social recruiting is paramount to building a healthy pipeline of top talent. Unfortunately, most HR professionals are letting this opportunity run dry. Currently, only 9.4% of people use social media to recruit for their company, even though employees are the key to driving more qualified referrals. In fact, 44.5% of people say they are more likely to apply for a job if they saw their friend post about the position on social rather than through other means. Encourage employees to share job postings and other helpful company content on an ongoing basis. This will raise brand awareness, which keeps your company top of mind, while also driving leads to open positions when the timing is right. This survey was conducted by Bambu by Sprout Social, an employee advocacy platform for businesses, and Survata, an independent research firm in San Francisco. Survata interviewed 1,000 online respondents between March 24, 2016, and March 28, 2016. Respondents were reached across the Survata publisher network, where they take a survey to unlock premium content, like articles and ebooks. Respondents received no cash compensation for their participation. More information on Survata’s methodology can be found at survata.com/methodology.